Magi & their transport have arrived at the Christchild. This entry was posted in Advent, Christmas, Epiphany, Installations, Worship and tagged Advent, Christmas, Epiphany, Magi on April 23, 2012 by Mark. A fishing village was created in the sanctuary of the Church for the season of Epiphany. On the day of the narrative of the call. 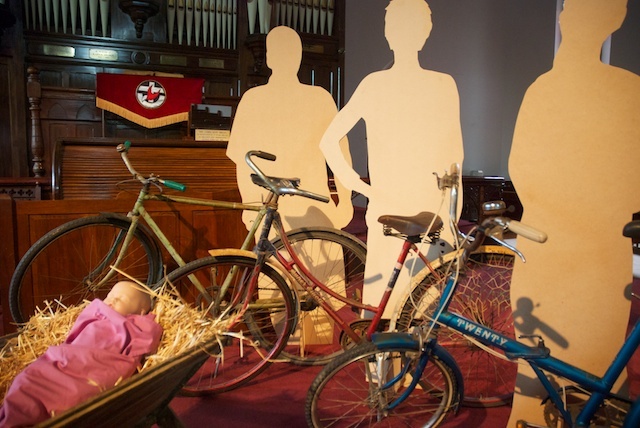 The service was conducted and the story lived out from the village created. all in costume. Scene created with full size clinker boat, with mast and pretend sail. Fishing net can been seen on left of image. Spicer Uniting Church is a historically listed neo-gothic methodist church. Epiphany Yr C.2009 @ Spicer Uniting Church, St Peters, South Australia. 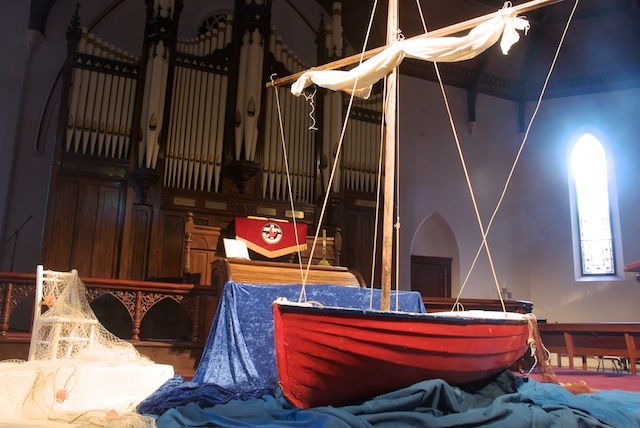 This entry was posted in Epiphany, Installations, Worship and tagged boat, Epiphany on April 23, 2012 by Mark.